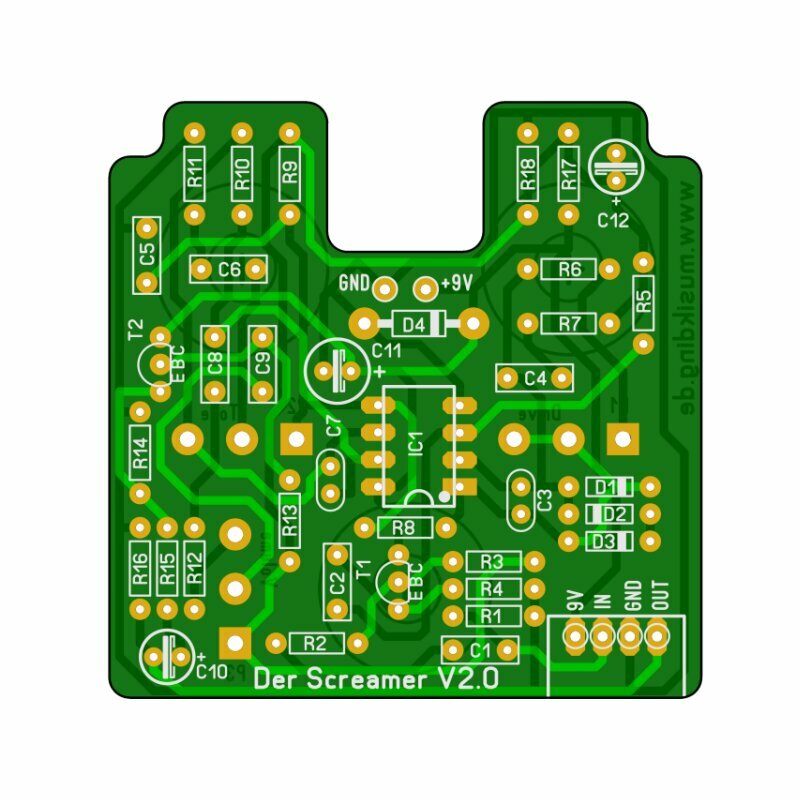 The Screamer is a project to build 2 famous overdrive pedals, the TS-9 and TS-808. Both versions are nearly identical, there are just 2 resistors different. 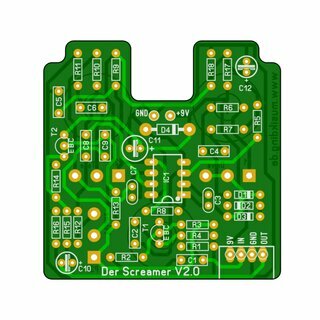 The new version 2 uses pcb mount pots and an adaptor board for the footswitch. This makes wiring and assembly much faster and safer! A great overdrive pedal, easy to build and sounding perfectly. 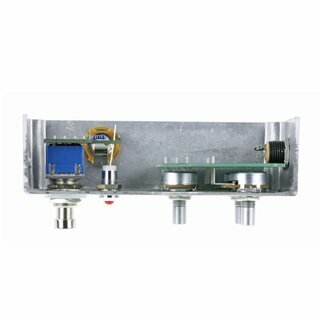 Includes the components to build two differents versions of the pedal (TS9 and TS808) so the choice is yours ! Packaging is very helpful (each resistors are marked ; wires are pre-cutted and stripped)... Its really appreciated. Everything about this pedal is worth the while. Quality components all the way. And you Ed up with the sweetest sounding pedal. 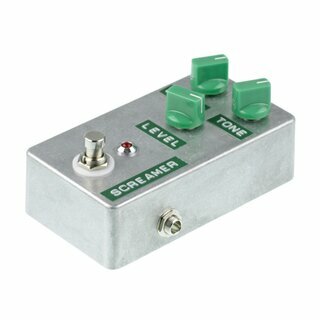 Everything youll ever want in a tube screamer. Great!!! 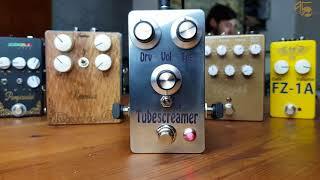 The Screamer - Overdrive kit 5 from 5 Great!!! perfect clone of the TS808. Great job man!!! Great! 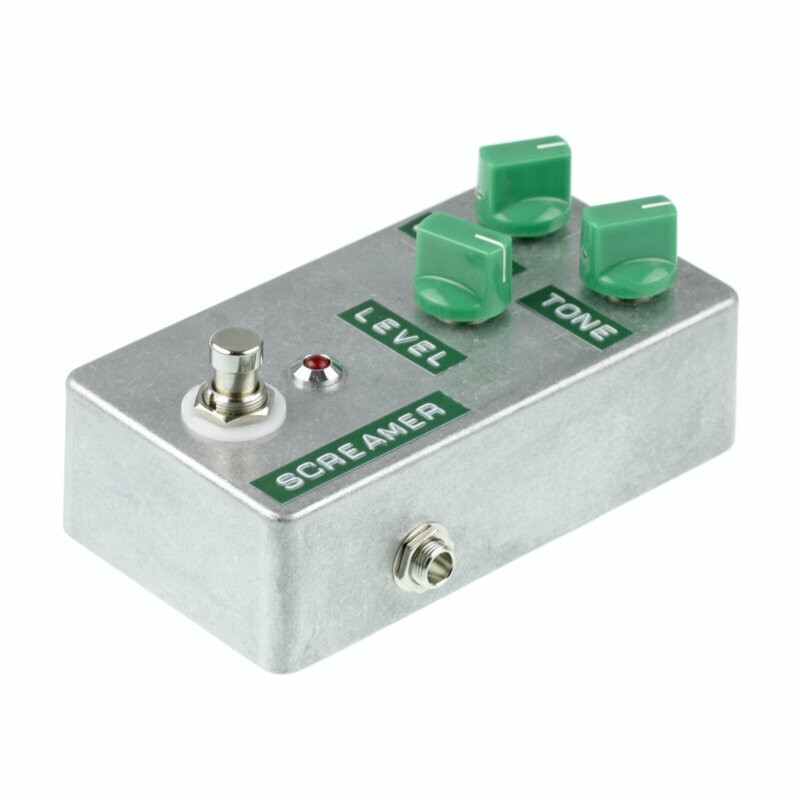 The Screamer - Overdrive kit 5 from 5 Great! A good choice. A perfect Kit. A very nice sounding pedal,very easy to build...i raccomend it!